Sungai Siput MP and 13 others were engaged in a peaceful assembly outside the Perak state assembly to highlight the plight on landless villagers. IPOH : The police today arrested 14 people, including Sungai Siput MP Dr Michael Jeyakumar Devaraj and several Hindraf Makkal Sakthi supporters, for staging a peaceful protest outside the state assembly building. The state assembly was in session when the arrests took place. The police said the protesters were arrested for failing to disperse after taking part in an illegal gathering. The protesters had gathered to highlight the plight of Kampung Dewan Bandaraya Ipoh who have not been granted land titles for more than 10 years. The residents want the BN-led government to sort out their land titles issues as soon as possible. Among those arrested included Hindraf’s national secretary P Ramesh, who claimed that he had suffered injuries while being arrested as a result of police assault. He has been taken to the Ipoh general hospital for treatment. “He was also kicked on his head and neck. As a result he can’t even stand up properly and started vomiting. He was taken by an ambulance from the Ipoh district police headquarters to the Ipoh General Hospital,” he told FMT. 12th April 2011. Meeting with congressman Mac Thornberry lasted a good 20 minutes. he was briefed on the Human rights affecting Indians as well as the other 10 million non muslim population. he is keen to raise awareness among congressmen on the gross violation of human rights in Malaysia. Agreed to look on the military exchanges with Malaysia. He is the vice chair on the committee of armed services. HRP Letter to P.M: latest Education Ministry Directive stops Eight (8) Indian poor children denied Birth Certificates from even attending Tamil Primary school. Re : 1) Latest Education Ministry Directive stops Eight (8) Indian poor children denied Birth Certificates from even attending Tamil Primary school. Because of the UMNO led government’s implementation of their racist policies for 54 long years, an estimated 150,000 up to even sixth generation Malaysian born poor Indian children have been made stateless by having been arbitrarily denied their innate right to their Birth Certificates by the racist UMNO National registration Department. The 523 Tamil school headmasters nationwide were mostly sympathetic took pity and admitted these poor Indian children into their schools. This secured them at least a primary school education. But unlike in the Tamil Primary schools, the almost all Malay muslim secondary school Headmasters deny these children their very basic right to continue with Secondary School education, Skills Training and thereafter Higher and University education. But in an early 2008 Directive by the then Education Minister, Tamil school headmasters were issued a written directive not to admit these poor Indian children denied birth certificates into their schools. And today The Star reports the plight eight (8) poor Indian children all from one school alone aged between 7 to 12 years old who were denied their Birth Certificates and were locked out and stopped from entering their Linsun Estate Tamil School Seremban since 24/2/2011 because of the latest directive from the Education Minister. (The Star 12/4/11 at page N 3). certificates can now attend government-aided schools provided they have a referral from the Social welfare Department (JKM)”. (see The Star Online Friday May 15, 2009). In any event the then Education Minister Hishamuddin had earlier also said that Children who do not have birth certificates can now be enrolled in school/s as long as their parents obtain a confirmation letter from their village headman or the Village Development and Safety Committee (JKKK) head. Education Minister Datuk Seri Hishammuddin Tun Hussein said under present regulations, children who do not have birth certificates cannot attend school. “This is a Cabinet decision and takes effect immediately. These children no longer need to wait for confirmation from the National Registration Department,” he told reporters after chairing a meeting between his ministry and the Plantation and Commodities Ministry. But somehow the UMNO Biro Tata Negara racist policies implementation seem to take precedence and which has become the racist and religious supremacist order of the day. We hereby call upon the Education Minister and the UMNO led government of Malay-sia to forthwith withdraw this racist written directive and allow all these eight (8) poor Indian children to attend school. Kindly also issue a written directive to allow all the estimated thousands of such poor Indian children nationwide to attend school, skills training, higher education etc. This is the right thing to do as according to the Child Act it is an offence punishable with at least six (6) months jail for not enrolling their child into primary schools. We hereby also urge the government of Malay-sia to also forthwith grant Birth Certificates to all the estimated 150,000 such poor Indian children and another estimated 300,000 adult Indian poor denied their innate Identity Cards. (Kindly treat this as our formal complaint and take the necessary action accordingly). Enough is Enough! I would rather take chance with Hindraf Makkal Sakthi or Human Rights Party but not the hypocrite politicians of the Pakatan. Fifty-three years of discrimination and marginalisation of the Indian community, and yet the famous Perak Pakatan leader, former Perak Menteri Besar should be embarrassed to say: “I know that not much was done (for the Indian community) during our 11 months rule of the state,” (FMT April 11, 2011). How much more time do Pakatan leaders need to resolve the Indian dilemma in this country? The question is what has Pakatan done for Indians in Selangor, Kedah and Penang the past three years other than grabbing their cemetery land, denial of land for Tamil schools and demolishing or closure of Hindu temples in all Pakatan states. But the Chinese working on vegetable farms were given three acres of land immediately by Perak Pakatan and it was proudly announced by Anuar Ibrahim in his speech at Miri on April 8, 2011. The help for Chinese and Malay was done with lightning speed, in about one month of Pakatan Perak taking the reins of the state government. Mohd Nizar Jamaluddin must resign as politician for failing the Indians and championing the Chinese and Malays. Pakatan Rakyat are even worse than BN for their double standard. Utusan Malaysia on Jan 1, 2009 reported that “349 Rancangan Perkampungan Tersusun (RPT and 134 New Villages in Perak with 110,000 and 102,000 (60,000) titles respectively are to be given out irrespective of the national land councils orders involving almost all Malay and Chinese owners and land recipients. The PKR, DAP and PAS Perak state government also allocated 1,000 hectares (about 2,500 acres) of land to nine Chinese schools for them to generate revenue to pay for their operational expenses, said Nizar Jamaluddin (NST 31/8/2008 pp 38). The schools were urged to form a company to work the land and share the profits among themselves. Nizar also donated RM30,000 for each of the nine schools. But nothing for the Indians! DAP, PKR and PAS only gave importance to their Chinese and Malay community. As Opposition leader, Anwar never fought for the Indians, only Hindraf Makkal Sakthi will be the champion of the Indians. Shameful to say that nothing has been done to champion the cause of the Indian poor in these Pakatan ruled states. The Indians were treated like sucked oranges not only by BN but also by Pakatan leaders. 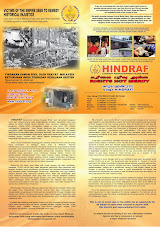 Pakatan came to power by using Hindraf and the Indian support. It is now really shameful that they have had to organise a Pakatan Rakyat Indian leadership dialogue session in Penang on April 2, 2011. Pakatan Indian leaders pushed for changes especially in intensifying opposition to ‘Interlok’, the appointment of a special Indian aide to menteris besar in three Pakatan-ruled states, and raising the intake of Indians in municipal councils in opposition-held states. Athi Sankar’s article “Losing Indian support: Pakatan must blame itself” (Feb 16, 2011 ). Jalan Bagan Luar DAP branch head G Asoghan said Pakatan should get rid of its denial syndrome and stop blaming Barisan Nasional (BN). Pakatan Rakyat should blame itself for the loss of Indian support and not others. Human Rights Party leaders and grassroots Indians have pointed out that during the same short period, Pakatan governments carried out beneficial programmes for the Malays and Chinese. Lim Guan Eng is another Pakatan hypocrite in Penang and had never granted land to all the Tamil schools and doesn’t look into the Indian problems. He never stood up for the HRP/Hindraf Makkal Sakthi NGO activists when they were arrested by police in Simpang Ampat temple and Farlim, Penang. If Lim cannot stand up for the HRP activists who were jailed for campaigning against Interlok, I doubt he will ever stand up for Indians in any other issues affecting them. I quote LGE’s speech summary on the Dec 12, 2007 Video entitled “Guan Eng: Indians Rich? Please prove it”. Clearly Lim Guan Eng claims that Indians are poor and need state assistance to bring them into mainstream development in Malaysia. He requested BN to seriously look into the plights of marginalised Indians and Malaysians who are sidelined from mainstream development and to take immediate actions to protect them and share the wealth the country. He also criticised BN government’s propaganda to use Hindraf to prove that Malaysian Indians are not poor, and that the government needs to prove this. He also said that the government must be sincere to discuss the problems instead of labelling Hindraf as terrorists or that it has links with terrorists. Lim also reminded the government should not also come out with statement to revoke citizenship of Malaysian Indians. Lim and his fiery speech championing the Indian woes is a first class drama and it can be watched onhttp://www.youtube.com/watch?v=xLt3QARQ1HA Sunday, March 13, 2011. What has Pakatan, especially Anwar Ibrahim and DAP’s Lim in Penang, done for the Indians for the past three years: Has he seriously look into the plights of marginalised Indians and made them part of mainstream development, did he help the many Indian families in Seberang Prai and Batu Kawan to obtain citizenship and grant land to Tamil schools in Penang? http://www.youtube.com/watch?v=-ecG88bK-24 (Uploaded by BHonline1) on Jan 11, 2011. Anwar says “The Interlok is a good novel and there is no racism in it. (Tiada unsur-unsur penghinaan dalam Interlok)”. But the other Indian Pakatan leaders especially Kulasegaran are against the novel being used in schools nationwide. Anwar has been always a pain in the neck for Indians and Wong Mun Chee’s article titled “Who and what Anwar is, is still a mystery” is the best written article ever on Anwar (Jan 31, 2011 FMT LETTER. It clearly shows that this Opposition Leader is truly an untrustworthy person. Wong Mun Chee stressed that Anwar has his days numbered, either he goes behind bars or strikes a deal for a swing in power and in exchange for these blokes to continue with their billionaire lifestyle and fulfill his own agenda to become the PM. He further said, amongst the three opposition coalition parties, the one that’s a time- bomb seems to be PKR. Why? Same principle, all proxies to ensure Anwarism, no difference from Umnorism style with their allies. Wong Mun Chee gave an outstanding statement in his conclusion. “The crux of this letter, said Wong, is politicians are never our saviour, but we the people need to be savvy enough to understand and comprehend, with apprehension, the true objective of a politician. It is up to the rakyat of Malaysia whether they want to support artificial politicians either in BN or Pakatan – semua 2 x 5 juga. I would rather trust Human Rights Party to help Indians that trusting the artificial politicians of Pakatan. I would rather spoil my vote but will never vote for Pakatan. To Nizar and other Pakatan leaders, please stop the appealing drama. Let your Opposition Leader Anwar Ibrahim, the number one artificial politician appeal for Indian votes. Racist UMNO AG Gani Patail not ready with documents/evidence but continues to maliciously prosecute to jail for 2 years 20 HINDRAF activists at the Seremban Magistrate Court. Yesterday morning (11/4/11) all the 20 of the said HINDRAF Seremban car convoy activists had to be present at the Seremban Magistrates Court. All 20 refused to plead guilty. They instead pleaded “Rights not Mercy” Seremban lawyer Kartik and Hana represented all of them. The 54 HINDRAF activists prosecuted nationwide last month alone is the only one of it’s kind the world over save and except for absolute monarchy Saudi Arabia, there has been no one person ever to have been prosecuted in the whole wide world for being a member of a human rights or minority rights NGO. In One Malay-sia- Semua Boleh! !